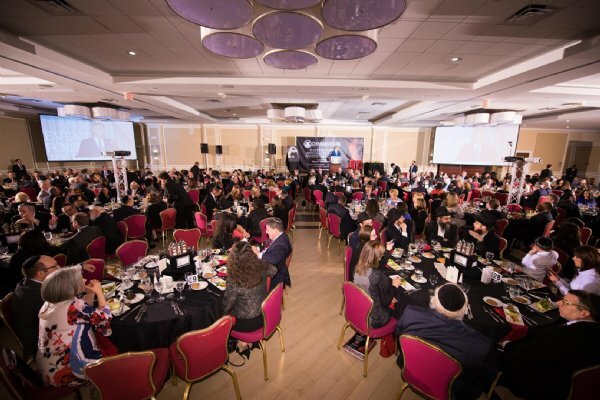 Rutgers Chabad dinner raises $1.3 million Drawing one of its largest crowds ever to its annual Founders’ Day dinner, Rutgers Chabad raised $1.3 million. The 37th annual dinner at the Les Turchin Chabad House on the university’s main campus in New Brunswick on Dec. 15 brought out about 500 supporters to honor Myron “Mike” Shevell, chair and CEO of New England Motor Freight, Inc. and chair of the Shevell group of companies. As part of the evening’s ceremonies, the Ashkenazi chapel at Chabad House was named the Shevell Family Synagogue. It recognizes a $500,000 gift made five years ago by Shevell to create a Torah study initiative and for his ongoing support of Chabad and its programs, said executive director Rabbi Yosef Carlebach. That study program was renamed the Jon Shevell Torah Scholars Program in memory of Shevell’s late son, a staunch supporter of Rutgers Chabad. Jon Shevell, a former all-state basketball player at J.P. Stevens High School in Edison, died in 2008 at age 50. Participating students in the learning initiative receive a certificate and stipend after completing 60 semester hours of study. About 200 students have been involved since its inception. Shevell told the gathering about the visit Carlebach makes to his office in Elizabeth every week to put on tefillin and pray with him. “I’m an old man — over the hill — but I feel as though I’m 18 when I pray,” Shevell said. The evening featured a formal ribbon-cutting of the new Shevell synagogue, during which Mike was joined by daughters Susan Shevell Cohen and Nancy Shevell McCartney. Nancy wasn’t accompanied this time by her famous husband, ex-Beatle Sir Paul McCartney, who created a sensation when he attended a similar event five years ago. 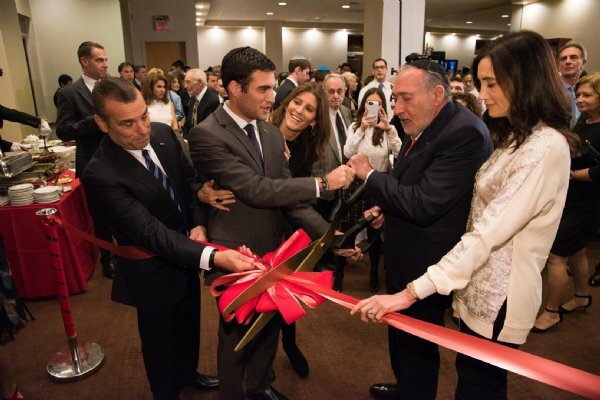 Chabad House also includes the Franco-Ashkenazi Family Sephardic Synagogue, dedicated last year as one of the final components of a $13 million expansion of what was already the largest Chabad House in the world, adding 55,000 square feet to the existing 35,000-square-foot structure. Jacob Gross, a junior human resources major from Short Hills, said he “learned Jewish values, morals, and Talmud stories I never heard about in Hebrew school” in the Chabad scholars’ program.